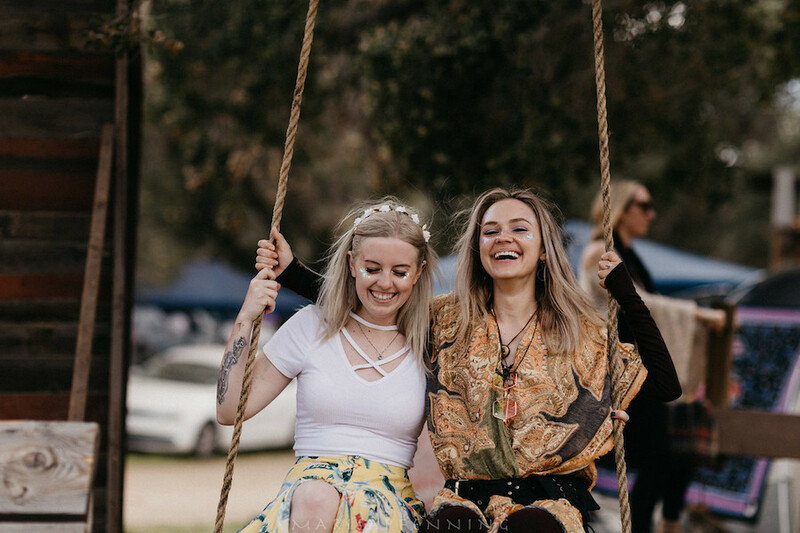 What’s better than a weekend full of love, laughter, music, and dancing at Lucidity? Experiencing it with all of your favorite people in the universe! Lots of folks roll in with their entire crew and make it look easy, but it’s not always as smooth as it seems. 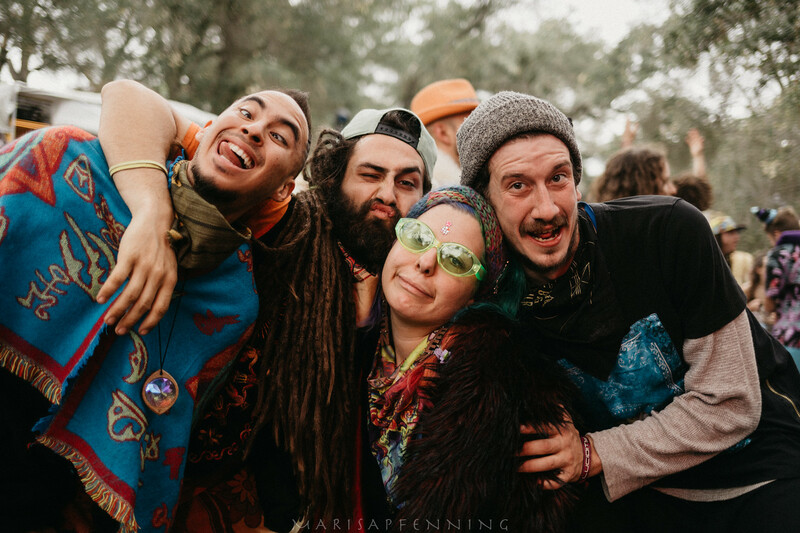 I’ve traveled with my tribe for almost every festival except for a few, so I can speak to the challenges that you might face. But the joy of waking up next to all of your friends like you’re having the most epic outdoor sleepover ever makes it all worth it. 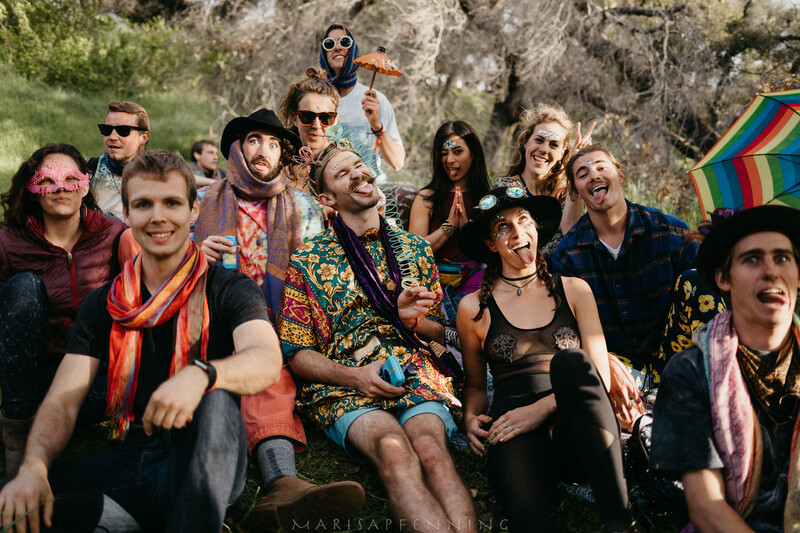 Here are 5 tips for bringing your badass group of friends to Lucidity. See you under the oak trees! You might be planning on going with your five housemates, and in that case this will be an easy one for you. But if you don’t know everyone who you’ll be camping with, plan a hangout before Lucidity. If they’re planning on going to Lucidity, then you more than likely share at least a few common interests. Hanging out can be as simple as having a pizza night at someone’s house. Food brings people together, and people keep people together. So get together! Then invite everyone to join a Facebook group–it’s basically the simplest way to organize a group of people around a thing. Once you’ve solidified your group, you know what time it is. Time for a beautiful, info-filled spreadsheet! Okay, maybe spreadsheets aren’t for everyone, but they’re definitely helpful when it comes to keeping track of things (and we’ve all got that friend who loves organizing!). I like using Google docs because they have the best sharing capabilities. Create as many tabs as you want, and have fun with it! Here are some of my go-to tabs: camper info (names, emails, phone numbers, arrival and departure dates, cars, etc. ), camp contributions (a list of items that people are bringing to share with the camp), carpool list (reduce the number of cars on the road), suggested packing list (help your campmates help themselves). One of the easiest ways to share is via vehicles. 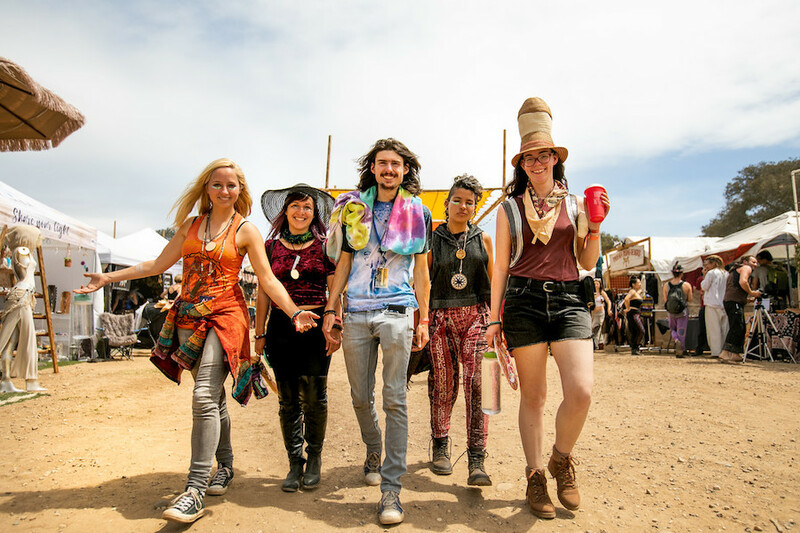 Carpooling reduces the number of cars on the road and makes space for interactive art in the camp grounds. Another way to share is by creating a camp contributions tab in your spreadsheet. You can watch your living space come to life as your campmates sign up to bring various items to share with your crew. People will start to sign up for things like shade cover and tables. Then come the tapestries and cool light installations. Next thing you know, your camp is starting to look cooler than your home in default world. And isn’t that what it’s all about? Use this perfect opportunity to create your dream outdoor home. The oaks are your backdrop. Have fun with it! But don’t forget to bring the obvious stuff, like water. I like to bring a water jug with a pour spout, Dr. Bronner’s soap, and a towel to offer a hand washing station to my friends. There’s nothing better than clean hands at a festival. I also highly recommend bringing a shared kitchen so you don’t end up with six stoves. Think of all the cool art and decorations you can bring if you don’t have to play Tetris with your vehicle. Something a bit more tactical, but still very important: plan a meetup spot somewhere near the festival entrance where you can meet your crew before you head in. One of the most challenging things about camping with a group is finding a space that will accommodate everyone. Getting in line early helps, but the best way to ensure success is by driving in together and working with Lucidity staff and your neighbors to find a spot that works for you and for everyone. Live Oak is a tight space, but it’s worth the effort to find the perfect spot for your family. Traveling with a pack means you’ve got to consider the needs of people other than yourself. In turn, you get to enjoy the company of everyone you love. But difficult times will happen. Don’t let them stop you from enjoying yourself. Stay present in every moment to avoid the pain you might feel by not dealing with the issues that are in front of your face. People tend to act more raw when they’ve been without their normal creature comforts for a few days. Most of the time, this has nothing to do with you. 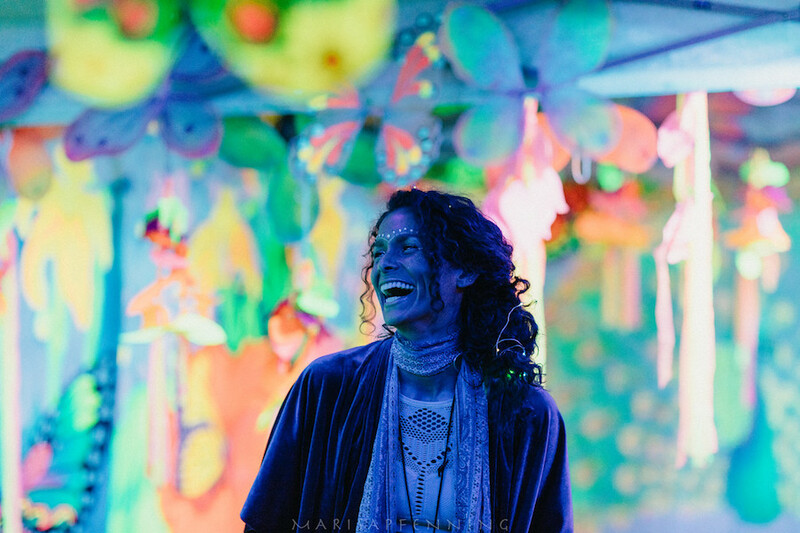 Don’t miss out on the love of Lucidity.